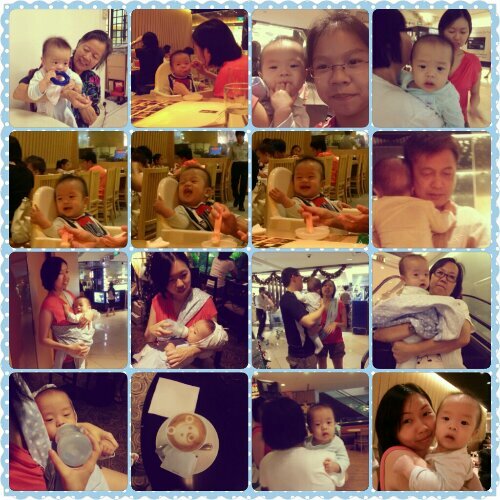 One day, this little mummy decided to bring Ted on an outing with mummy’s little cousins. It was a daunting task, involving a baby and 2 kids so mummy decided to enlist the help of Grandma K, who happily obliged. The takeaway for the day – always research the nursing / baby changing rooms before bringing the baby anywhere. We brought the baby out to the new mall Katong I12 and for a mall that has plenty of baby clothes shops and a paediatric clinic, the baby changing station was rather pathetic. There are no nursing rooms in the entire mall, and the baby changing station is a sad little extension on the wall of the handicapped toilet.